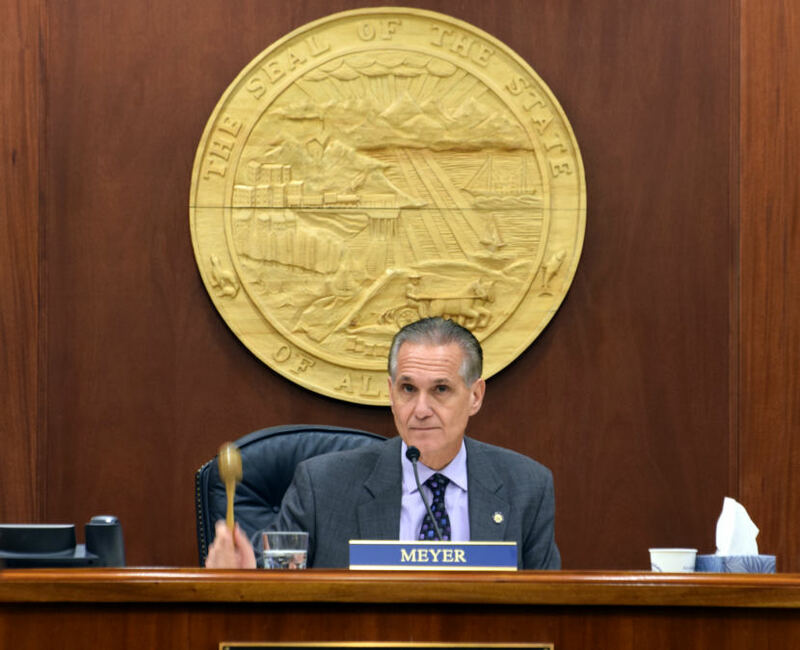 Tuesday is the first day of the legislative session, and there’s an unusual amount of uncertainty surrounding the Alaska House of Representatives. As of Monday afternoon, there wasn’t a majority coalition. Lt. Gov. Kevin Meyer will gavel in the session. In the case of the Senate, Meyer’s work will largely be ceremonial. He will swear the new senators into office. Then he’ll hand off the gavel to a temporary presiding officer, who will take nominations for Senate president. The Senate’s Republican-led majority has already agreed on Anchorage Sen. Cathy Giessel as president. But in the House, things aren’t certain. There isn’t a majority — which requires 21 members — who’ve agreed on a speaker. And there also may not be 21 members who can agree on a temporary president officer, also known as a speaker pro tem. That could leave Meyer in a difficult spot. Meyer noted this has led to an unusual situation for lawmakers. They may not be able to hire staff members — a temporary arrangement that allows each House member to hire staff for the session expires tomorrow. Meyer said that if the House can agree on a temporary speaker, that person will be able to conduct normal business, like inviting Gov. Mike Dunleavy for the State of the State address. This leaves people looking for jobs as legislative aides in the session in a bind. They may not know if they have a job beyond Tuesday — until the House organizes. Ken Alper is among those job seekers. He’s the former director of the state’s Tax Division and hopes to advise House members on budget issues. If House session aides who are already on the state payroll have a disruption in employment tomorrow, they’ll receive a payout from the state based on how much leave they’ve built up. And if the House doesn’t organize a majority by February, they could face a break in health insurance. That’s true for Alper, who’s been working as an aide to outgoing Rep. Paul Seaton of Homer. Talks continued Monday afternoon to reach an agreement on a new House majority.